This armrest is located in the center of the rear seatback. Pull the armrest down using the strap provided on the armrest. 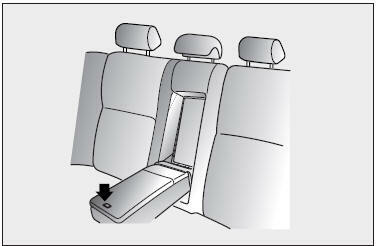 To open the armrest cover, press the button on the top of the cover and pull the cover up. Inside you will find cup holders and a storage compartment.